The easiest way to responsibly share content about wild spaces is to avoid using specific geotags or naming locations in your posts. For example, instead of tagging “Mt. Marcy” in your post, use “Adirondack Mountains”. This helps to preserve the sense of discovery for others and inspires them to explore, though without giving them the specific details on how to get there. If a hiker doesn’t know where the good views are, but feels inspired enough to try looking for them, they will likely spread their adventure out to all sorts of locales in order to find that awe-inspiring experience. It is this curiosity and passion that creates responsible recreationists! Have you ever seen a post online where someone carved their name into a tree, or set up a tent on the summit of one of the High Peaks? These are great examples of moments where people presented bad habits on social media that could potentially be replicated by others who don’t know any better. 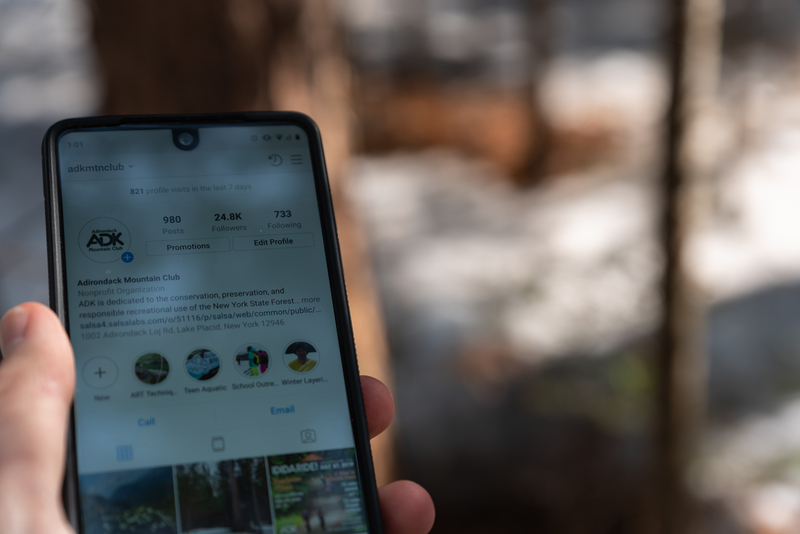 When posting, consider how your images or posts may support or run counter to the 7 Leave No Trace principles, and what others may learn from your social media presence. Social media offers everyone the opportunity to be a role model for sustainable recreation practices. So, if you see someone post images or content that isn’t in keeping with Leave No Trace principles, use that as a teachable moment that could help others avoid the same mistakes. 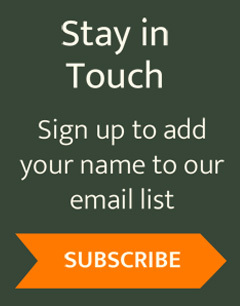 We recommend using the communication technique Authority of the Resource when commenting on posts that could use Leave No Trace guidance. This one is simple: volunteer! 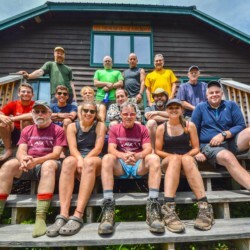 Your wild spaces are a finite resource, and there are many opportunities both with ADK and other local organizations to give back. Many of these can be found online through websites and social media, including our own. Posting about your experiences with these sorts of projects is also a great way to encourage others to do the same. This point, in many ways, summarizes the last three concepts. Take a moment to learn about Leave No Trace, and consider how its usage could benefit your favorite places. ADK also offers Leave No Trace courses that can teach you how to be a better steward of the environment. The 7 Principles are easy to remember, but take some work to build as habits, so spread the word! Every voice matters, and we hope you will add yours to this cause. Ben Brosseau is ADK’s Content Strategist. 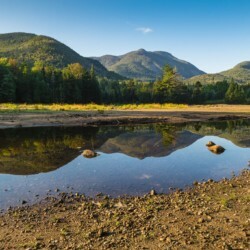 After graduating from Grinnell College in Iowa with a BA in English with honors, he decided to return to the Adirondacks, where he was born, in order to spend more time in the mountains. When not at work, he can often be found hiking, making coffee, or working on photography.